Cake maker, cake maker, make me a cake! 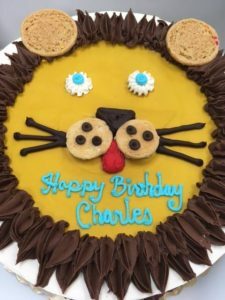 Many bakeries can make birthday cakes in Westchester NY, but our birthday cakes here at Baked by Susan are especially unique! A birthday cake created especially for you by Baked by Susan is the perfect addition to any party; truly unlike any other! We here at Baked by Susan can design you an unique birthday cake topper using a wide variety of frosting colors, sugary flowers, and other edible creations. Tell us what you’re dreaming of; it can be as simple or extravagant as you wish! My son’s last two birthday cakes came from here and surely will next year for his 5th birthday!! !